Hello guys! To everyone in the United States, I hope you had an awesome Memorial Weekend and that you enjoyed the much needed holiday break. To everyone else, you’ll definitely have a break soon so just keep working/studying hard. Before I get to the details of my Memorial Day shenanigans, I want to thank you all for your amazing response to the last post. The amount of feedback was incredible, I’m super glad that you guys enjoyed that post as much as I did. I also want to encourage you to keep the ideas and suggestions coming, I’d love to know what you guys want to read about and as you can see I love sharing my opinion. Thank you once again for the support, I deeply appreciate it. 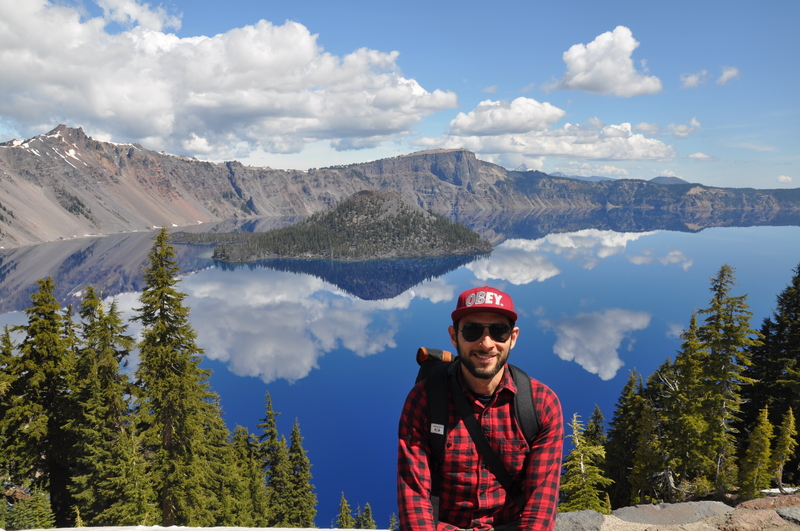 Back to this week’s post, last weekend I went on a road trip with two of my best friends to the natural wonder that is Crater Lake, Oregon. I had heard a lot about this place, especially through friends at work that had told me that it was a really beautiful sight not too far from Seattle. But guys, beautiful is an understatement compared to what I saw when we got to the top of the crater; it was something I just couldn’t believe my eyes were witnessing. First of all, let me tell you a little story about how this place came to be. 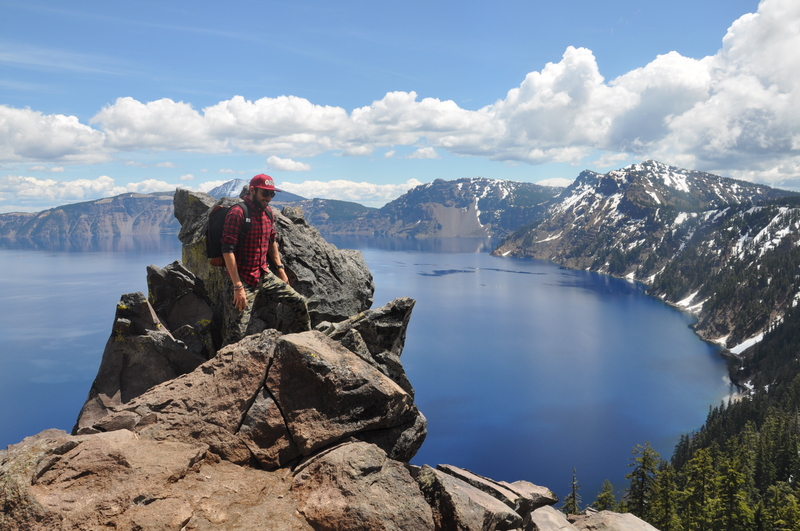 Around 7700 years ago, the Mazama volcano erupted in Southern Oregon, creating an explosion so massive that the volcano collapsed onto itself. 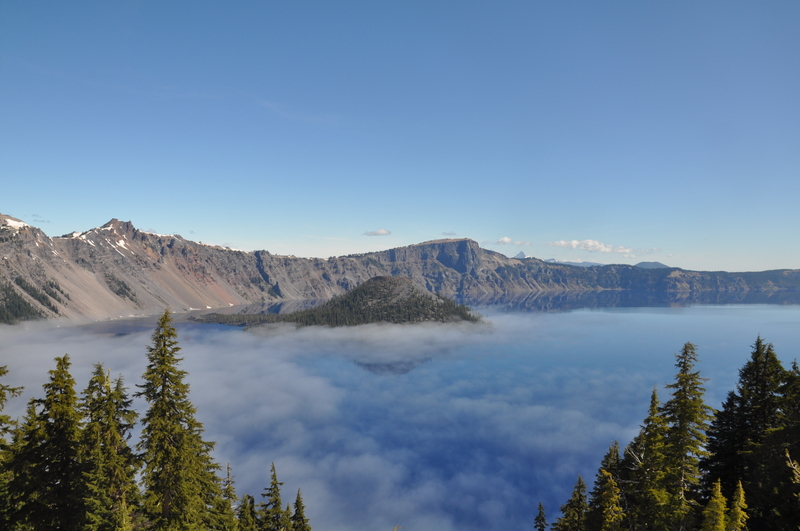 As years went by, the crater on this volcano got filled with water from the rain and snow that melted from the nearby mountain peaks, creating a lake. 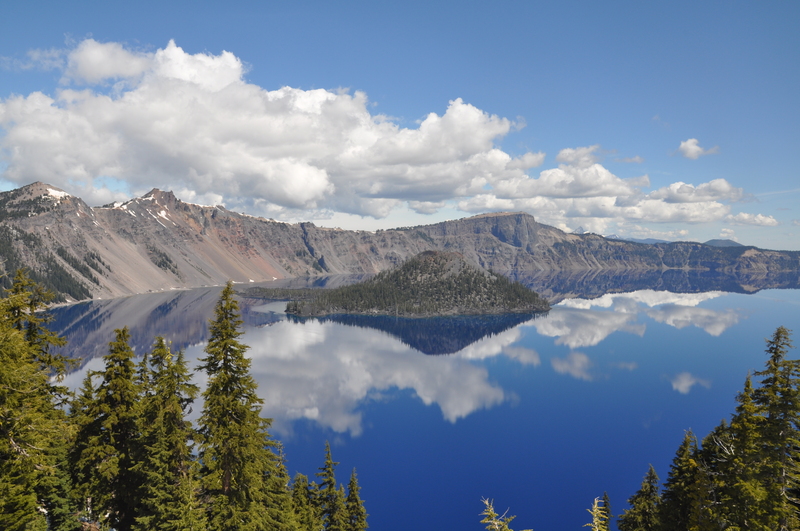 Nowadays, this lake is the deepest lake in America, and 9th deepest in the world, and it attracts millions of visitors each year to Crater Lake National Park. The first day we got there, it was super foggy, cold, and rainy (not much of a surprise in the Pacific Northwest, I mean, summer is still a month away). 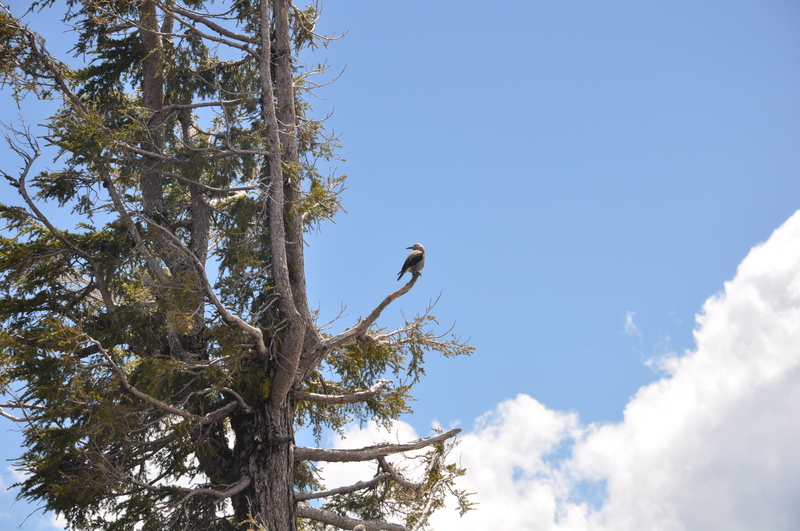 However, the next day the sky cleared out and it was a beautiful, crisp day, perfect for hiking. One of the first feelings I got when my friends and I did our first hike was that we were walking on the sky, among the clouds. 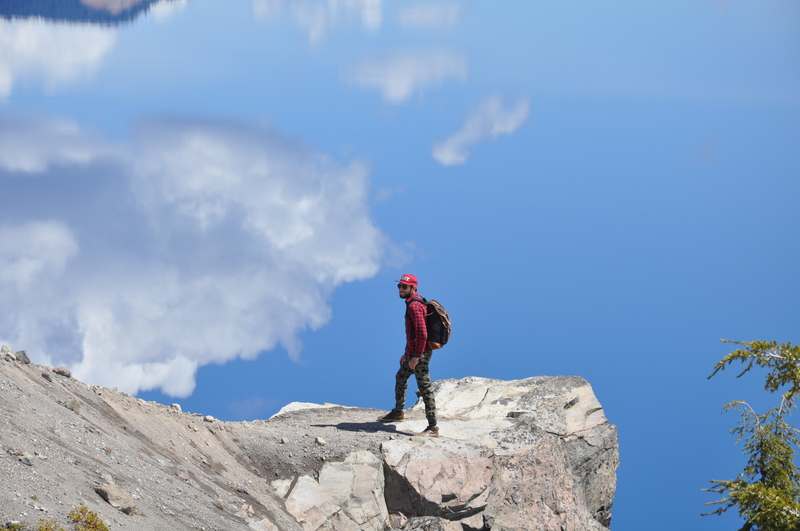 The lake’s water is so clear and calm that it resembles a mirror, and it creates a perfect reflection of the mountain peaks and the clouds, like if the lake were in the sky. This illusion was just mesmerizing; I had never seen something like this before. During the whole day, we did 3 different hikes of varying intensities. 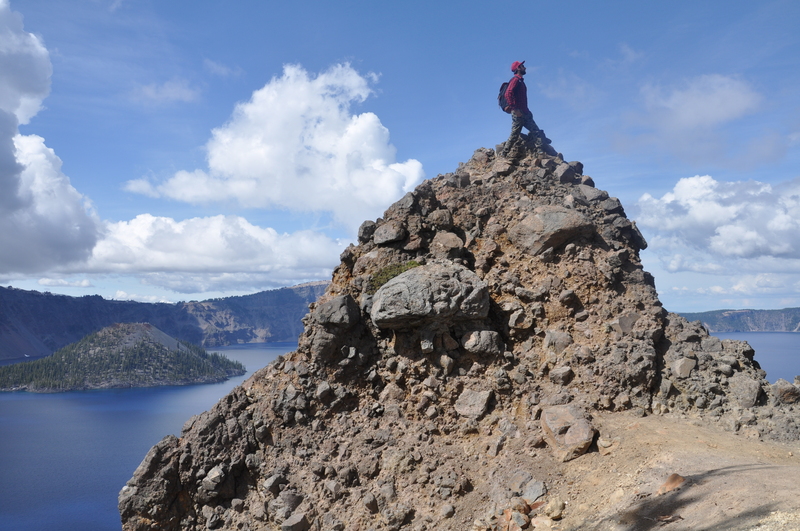 In the last hike, we climbed to the top of one of Crater Lake’s highest peaks (the highest peak was actually closed because of the season) and we took some amazing photos that almost seem to be created by Photoshop. However this was real life, and it just made me feel in awe the whole day. On the second day, we did another hike around the lake area, but this time from the other side of the mountain. We couldn’t go very far though, since we found a blocked area due to the season as well. 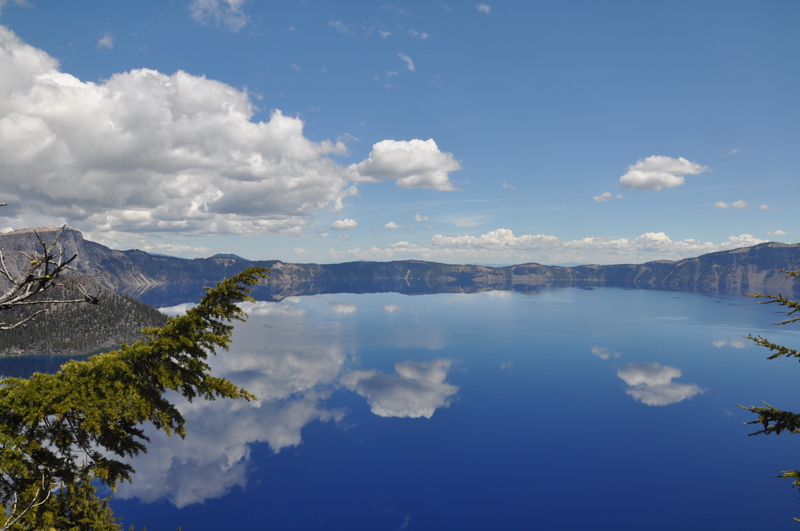 If you plan to visit Crater Lake I would highly recommend that you do it between June and October so that you don’t encounter any blocked roads or areas. After doing another small hike, we decided to leave Crater Lake Park and we went to a local winery in Medford for some wine tasting. There we tried some different wines from the Southern Oregon Valley and we were so pleased we bought some wine bottles to bring back home. The day after, we drove back to Seattle after spending an incredible extended weekend surrounded by the beautiful nature of the PNW. What about you guys? How did you spend your Memorial Weekend? That’s it for the day. This time, the entry wasn’t so much about fashion, although you can see that even when hiking I can’t leave my plaid, prints, and joggers behind :). I hope you really enjoyed this entry and that you all have your best week yet! 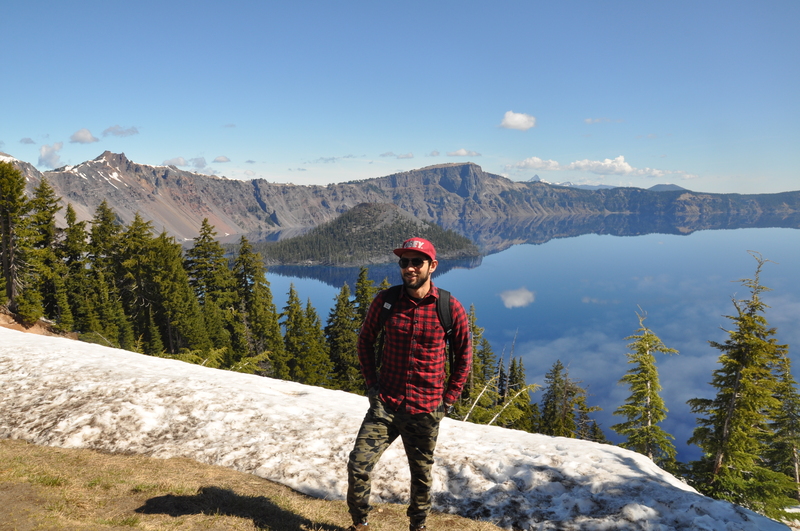 I also want to thank my friends Carlos and Valeria for taking these pictures, and for being such good road trip partners during the whole weekend, I had a blast with you guys! Everyone else, remember to be bold and to dress up to the occasion, all the time, and to let your voice be heard. Till next time! ¡Hola chicos! A todos los que viven en Estados Unidos, espero que hayan tenido un excelente Memorial Weekend y que hayan disfrutado el tan necesitado puente (¡es el primero desde Año Nuevo!) A todos los demás, pronto les llegará un puente así que sigan trabajando y estudiando duro. Antes de que comience a relatar los detalles sobre mi fin de semana, quisiera agradecerle a todos ustedes por la respuesta tan positiva al post de la semana pasada. La cantidad de feedback fue increíble, estoy muy contento de que hayan disfrutado del artículo tanto como yo lo hice y quiero invitarlos a hacerme más sugerencias en la sección de comentarios, me encanta saber qué quieren leer y como ven me gusta compartir mi opinión. Una vez más gracias, lo aprecio bastante. 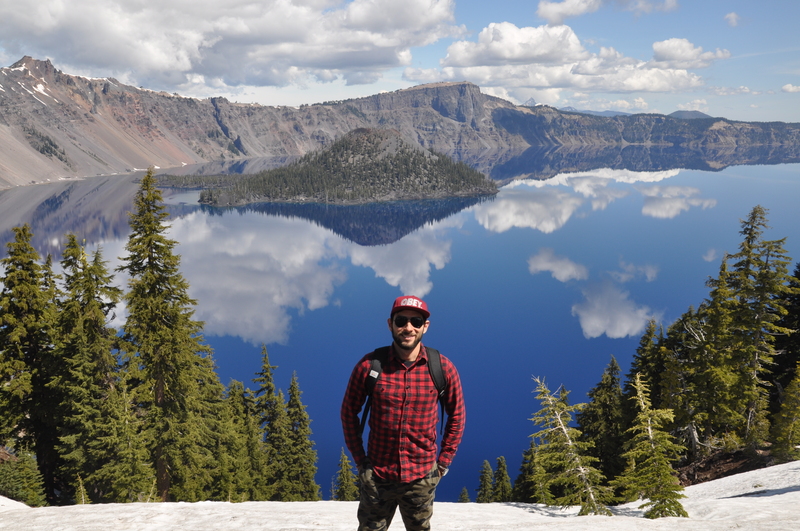 De regreso al escrito de hoy, este fin de semana me fui de road trip con dos de mis mejores amigos a la maravilla natural que es Crater Lake, Oregon. Ya había escuchado mucho de este lugar, especialmente por amigos del trabajo que me habían comentado que era una vista bastante bonita no muy lejos de Seattle. Pero chicos, bonita es poco comparado con lo que vi cuando llegamos a la cima del cráter; era literalmente algo que mis ojos no podían creer. Primero que nada, quiero contarles un poco acerca de la historia del lago. Hace alrededor de 7700 años, el volcán Mazama hizo erupción en el sur de Oregon, creando una explosión tan masiva que el volcán se colapsó sobre sí mismo. Conforme pasaron los años, el cráter de este volcán fue llenándose de agua de las lluvias y la nieve que caía en los picos aledaños al lugar, formándose así un lago. Hoy en día, este lago es el más profundo de todo Estados Unidos, y es el noveno lago más profundo del mundo. 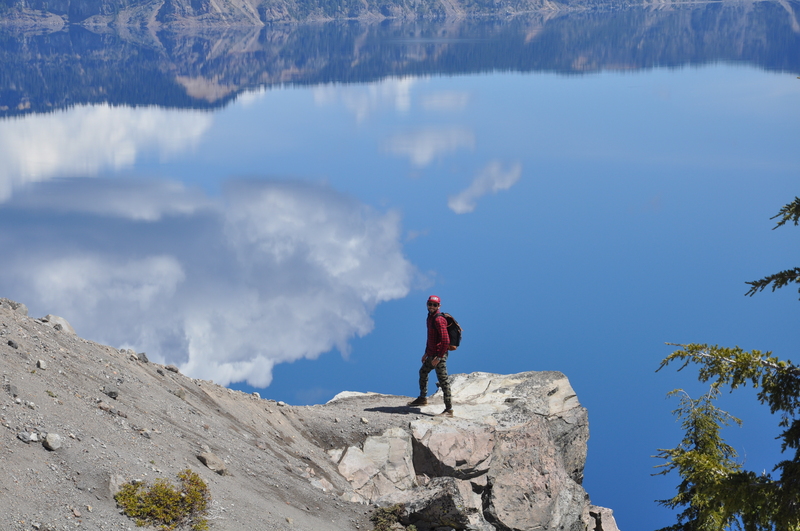 El parque Nacional de Crater Lake atrae millones de visitantes al año para ser testigos de tan majestuosa creación natural. El día que llegamos estaba neblinoso, frío y bastante lluvioso (nada sorpresivo para el Pacífico Noroeste, digo todavía estamos a casi un mes de que comience el verano). Sin embargo, el día siguiente el cielo se despejó y se convirtió en un día perfecto para ir de hiking. Una de las primeras sensaciones que tuve cuando mis amigos y yo terminamos nuestro primer hike era que estábamos caminando en el cielo, entre las nubes. El agua cristalina del lago es tan clara y calmada que aparenta ser un espejo, y crea un reflejo perfecto de las montañas y las nubes, como si el lago se encontrara en el cielo. Esta ilusión es impresionante; jamás en mi vida había visto algo similar. Durante el día seguimos 3 rutas diferentes de varias intensidades. 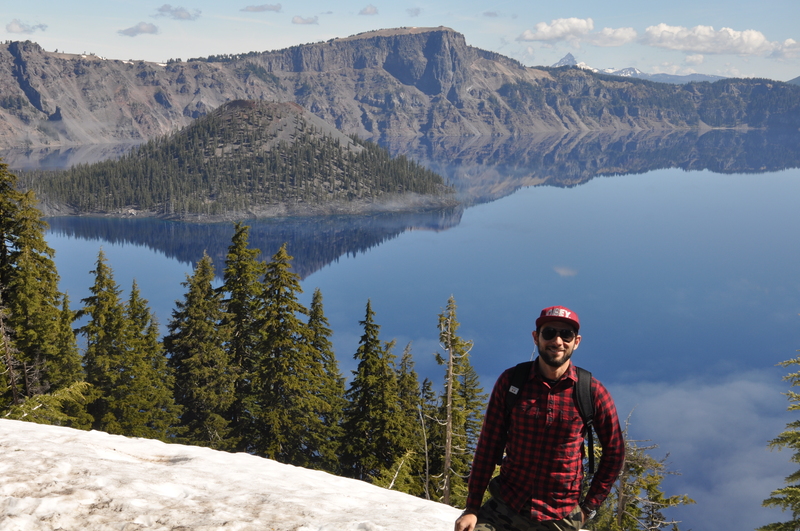 En el último hike subimos a uno de los picos más altos de Crater Lake (el pico más alto se encontraba cerrado debido a la temporada) y tomamos unas fotos increíbles que parecen creadas por Photoshop. No obstante, esto era la vida real, y me hizo sentir bastante asombrado durante todo el día. El segundo día, hicimos otro hike alrededor del lago, pero esta vez del otro lado de la montaña. No pudimos ir muy lejos antes de encontrarnos ya en un área restringida, así que recomiendo ampliamente visitar este lugar entre junio y octubre si no quieren tener el problema de encontrarse con caminos y áreas cerradas. 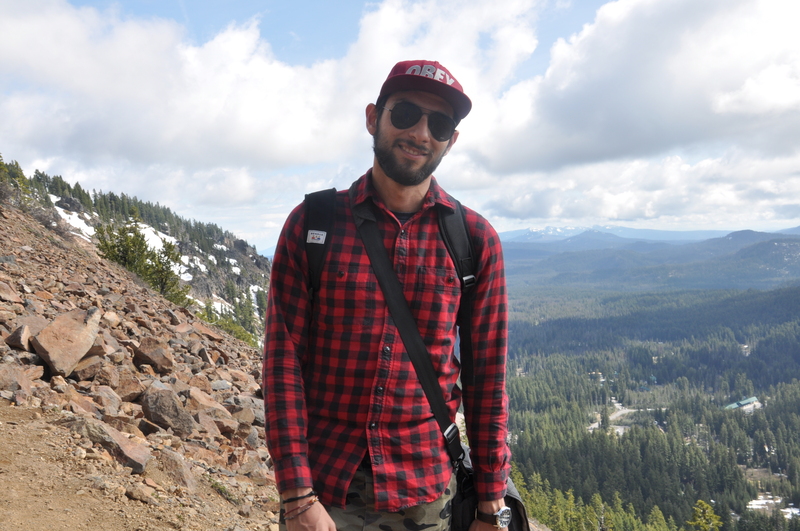 Después de hacer otro pequeño hike decidimos dejar el parque y fuimos a un viñedo local en Medford para hacer prueba de vinos. Ahí, probamos diferentes vinos del valle del sur de Oregon, y quedamos tan satisfechos con uno de ellos que compramos la botella entera para traérnosla a casa. El día siguiente, manejamos de regreso a Seattle tras un fin increíble rodeados de la naturaleza tan majestuosa del Pacífico Noroeste. ¿Y ustedes chicos? ¿Qué hicieron en Memorial Weekend? Eso es todo por hoy. 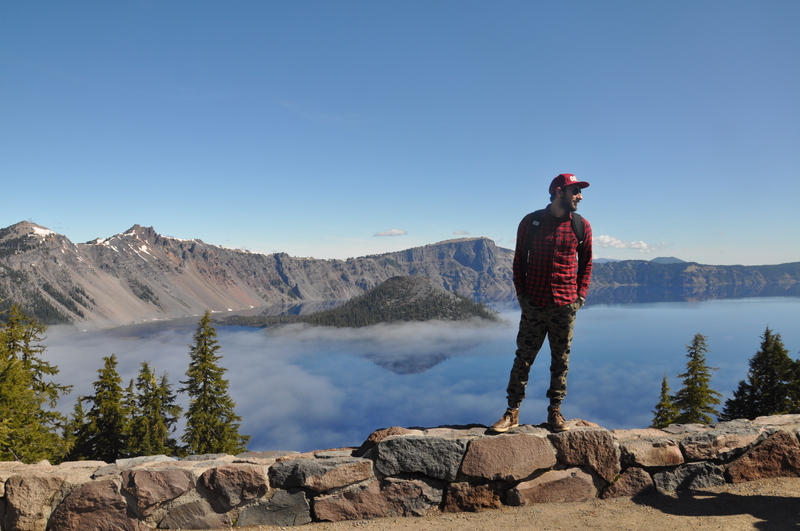 En esta ocasión, no hablé tanto de moda, aunque de todos modos pueden ver que aún cuando me voy de hiking no dejo de lado mis camisas de cuadros, patrones y joggers :). En verdad espero que les haya gustado este post y que tengan su mejor semana hasta ahora. Quisiera agradecerle también a mis amigos Carlos y Valeria por tomar estas fotografías, y por haber sido los mejores compañeros de road trip que pudiera pedir durante todo el fin de semana, ¡me la pasé increíble con ustedes! A todos los demás, recuerden tomar riesgos y vestirse de acuerdo a la ocasión, todo el tiempo, y dejen que los demás escuchen su voz. ¡Hasta la próxima vez! Stunning reflection! One of my favorite places, though I still haven’t figured out a good month to visit (even June had snow-blocked hikes). Such a perfect getaway 🙂 Have a good rest of the week! Thank you Denise! 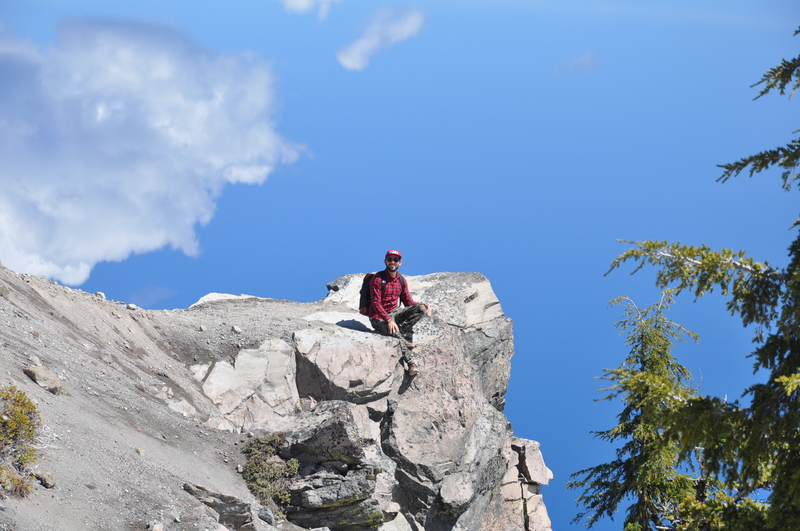 This place was indeed breathtaking, and I’m sure that most of the hikes are open if you go in the middle of summer then (around July-August timeframe). I’m super interested in knowing what did you do for Memorial Weekend. Did you go anywhere? Hope you have an amazing week as well! In Canada we have Victoria Day in celebration of the Queen, that is our May holiday. In November we celebrate Remembrance Day in honour of all those in service. We went camping on the holiday. These pictures are amazing, I wish I could visit there!! Defoe Jealous!! Thank you Olly! You should definitely try to visit this place, image what I felt while being physically there. I couldn’t believe my eyes!! Breathtaking pictures! I’ve been there once. I spent Memorial Day around Washington, D.C. I’ve been in VA for a month without WiFi. Good to catch up on your blog! Blessings! It was literally jaw-dropping! I would totally recommend that you pay a second visit to this place, just make sure it’s in the summer so that you can explore every inch of the park. And you know me, I love adventures! Let’s plan one together very soon :). Love you!